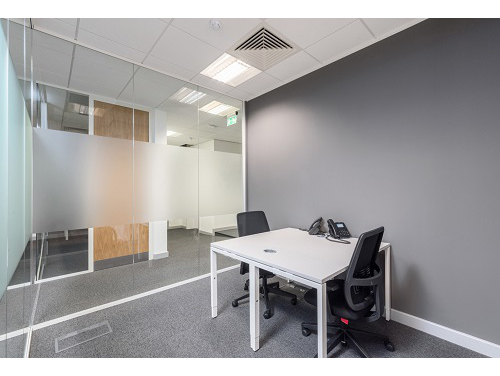 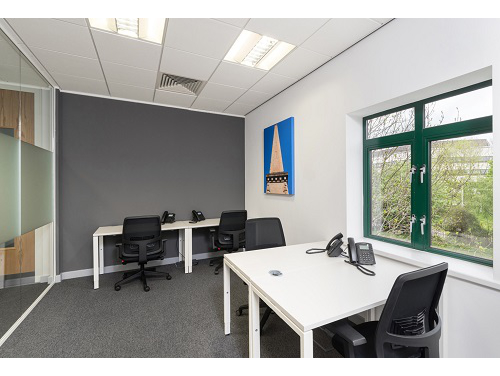 Salts Mill Road - Shipley, BD17 | Property8 | Office Solutions Yorkshire! 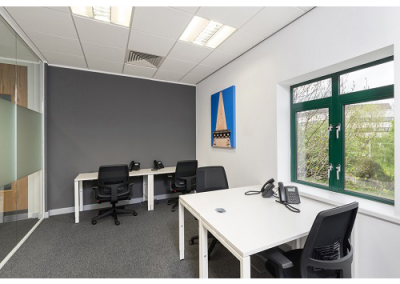 Beautiful and inspiring, this modern office is situated within a former cloth mill and is now home to an exciting collection of arts, business, shopping and dining all under one roof. The interiors consist of a very modern collection of furniture, accessories and facilities with incomparable break out spaces as well as very contemporary professional areas. 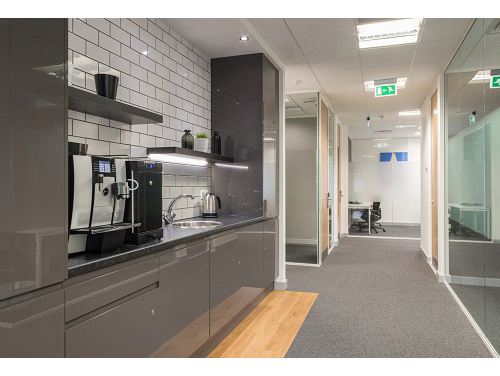 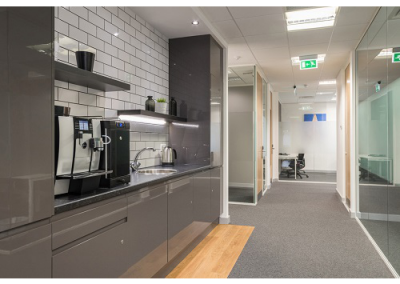 The kitchen is very homely with an attractive grey and white colour scheme accompanied by a modern central table where colleagues can sit and socialise; the large shelving structure, adorned with ornaments and nick-knacks create a very pleasant and relaxing space to eat, relax or work. 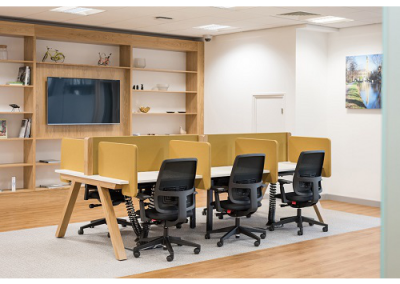 Cosy booths and individual work stations are available on site for small group projects or independent work for when a calm and quiet atmosphere is necessary. 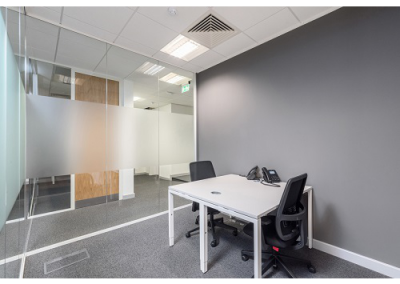 The offices themselves range from the colourful to the very smart and sleek, all within a well-lit space. 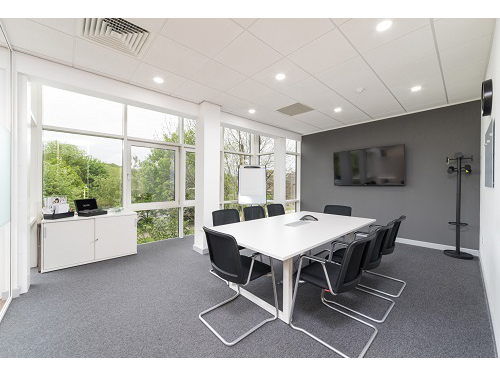 Further facilities include; an on-site café bar, high-speed Wi-Fi and meeting rooms for convenience. 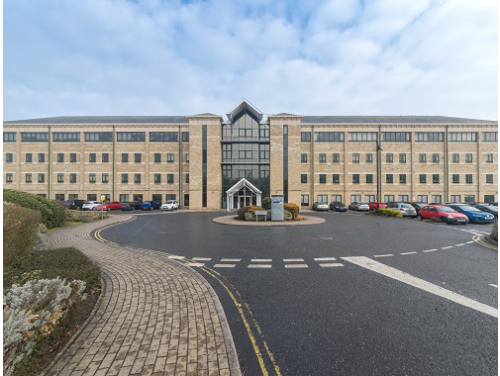 This location offers occupants a vast array of eateries and shopping destinations as well as being well served by public transport. Bradford Leeds Airport is only eight miles away and Shipley Train station is around 20 minutes on foot providing easy access for those international or out of city clients and employees.